My First Ever Blog Give-Away! I have been lucky enough recently to have won prizes in two blog competitions. I won a lovely set of 3 mini-tagines on Babaduck‘s Blog and a Cath Kidston Matching Apron and Oven Glove on Cooking in Mammy’s Kitchen‘s Blog, and with that in mind, whilst doing some Christmas shopping this week, I picked up a few gifts I thought you might like. A really lovely book – Macarons by Annie Rigg – it is so good, I bought an extra copy for myself! This book has beautiful flavour combinations to add to your creations, such as, Banoffi, and Coconut & Mango, to name but two! 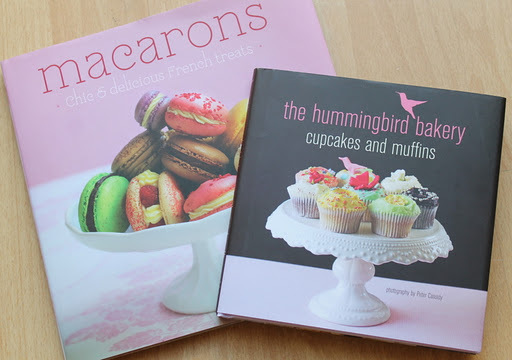 The other book is a mini Hummingbird Bakery Book of Cupcakes and Muffins. I particularly like the Muffin Section, which contains such savoury (as well as sweet) goodies as Carrot & Courgette (Zucchini) Muffins, and Spinach & Cheese ones too. These would be perfect with soups. I also have an easy to follow, and very well-illustrated cookbook for any Junior Chef or Chefette you might know. 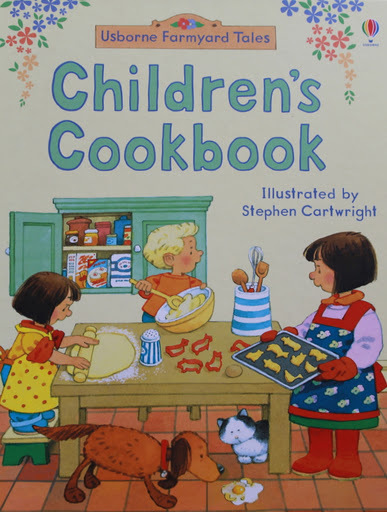 It contains photographs of how the finished dishes should actually look, and uses cartoon-form to demonstrate the method for the recipes. All you have to do be in with a chance of winning one of these prizes is leave a comment below by clicking on “Comments”. It’s that simple! Competition will close one week from today – Friday, 18th November, 2011 at 6 p.m. Winners and Prizes will be chosen at random by Our Babs. One entry per person please. Apologies, but just for this first one, it is open to Ireland and UK residents only. Next Post Blog Give-Way Winners! I am working my way up to trying your macaroon/macarons…Fantastic giveaway hun! Even better blog! keep it up! Love the kids book and the cutters! What lovely prizes Colette! Love reading your blog! Pick me, pick me! Oh, those are lovely prizes!! 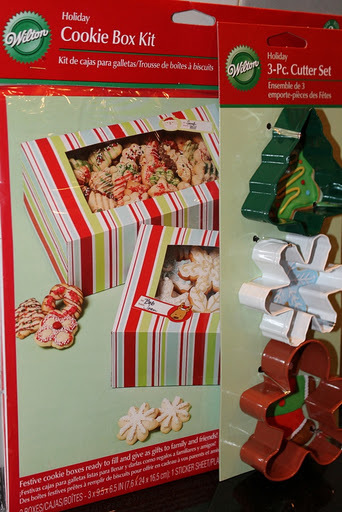 I like the look of the festive cookie cutters, so cute! They are lovely prizes i love the cupcake and muffin book and the childrens cook book :). What lovely little presents you have to give away Collette! The kids cook book in particular looks like it is beautifully illustrated. Hope all is well with you guys.Settling in for a nice quiet weekend here in Galway. I'm in the Christmas mood and the festive cookie cutters are so cool!! 😀 Good choice!! Ooh, these books look great! I can see a few my niece would love for Christmas. Thanks!